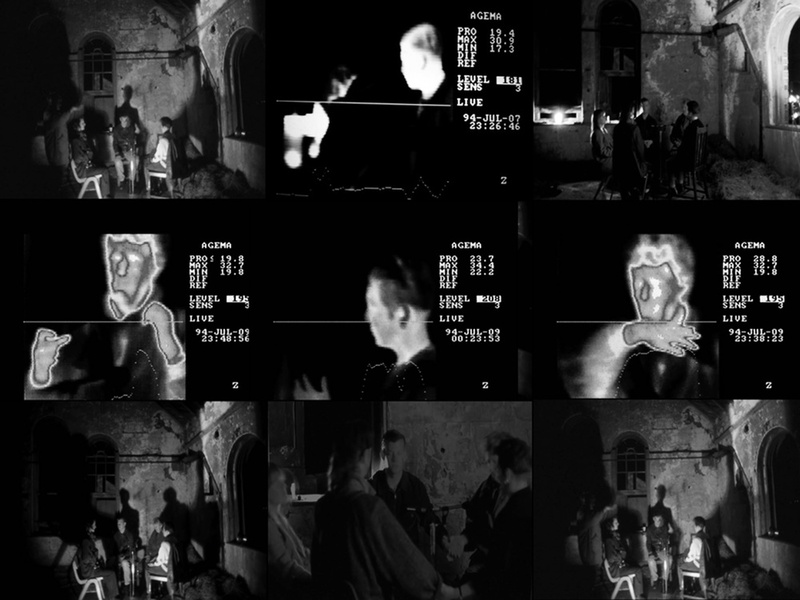 Psi net was a of series of durational performance experiments exploring clairvoyance and precognition made over three nights at a ruined ironstone mine in East Cleveland applying highly sensitive thermographic optical scanning, bio-feed back, heart and voice recordings transmitted live locally via a microwave link. Made in response to the landscape and history of the post industrial mining landscape of the cleveland as part of Earthwire and developed over a several months by gathering sources on the history of the local industrial, and ironstone mining communities from collections and museums. The curatorial themes of the EarthWire proposed radical uses of art and technology in a rural context and events took place at outdoor sites in East Cleveland around the villages of Loftus, Upleatham, Boulby, Lingdale and Kilton Thorpe. The project was curated by Tracey Warr and Rob la Frenais.